I made a piece, inspired by the epic game series. when I was around 12. And have played most of Zelda games since. in a group show co-curated by my friend, Jason Liwag. a limited edition print will be available March 26th Saturday! This is a limited edition of 250. It will be available to purchase at Static Medium Shop. on Saturday 3/26 12:00pm Pacific Time. The 'Dreaming of Koholint Island' print has a framing option. A beautiful black moulding with a gold inner trim, personally picked out by myself. Conservationally framed with UV-coated acrylic. Acid-free backing and spacers to allow the print to breath. 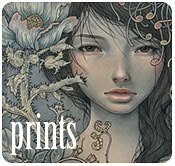 The prints will be available on Static Medium Shop. Prints are signed in the image area (not in the white space under the image). so if/when you would like it to get framed, you do not have to leave a white border around the image. this way, it will look more like the original! if you prefer a white border, you must get it matted accordingly. Unframed Prints will be shipped in a tube. (not flat) to expedite the shipping process. Please allow up to 2~4 weeks for delivery.